Netflix, you surpassed yourself in 2016! If you haven’t seen these already, we highly recommend them! If you haven’t seen it, why not? Our favourite viewing of 2016. It took every restraint not to binge watch but it was a delight to sit down to every night. The eight part series follows the adventures of a group of children, trying to find their missing friend, and the mysterious events and people they encounter along the way. A fantastic supernatural tale not to be missed. If you haven’t seen it then change that quick, before the year is over! This was the kind of series we could really get into and it was a really good seasonal treat to find that Netflix released a two hour Sense 8 special that would make great viewing for a cozy New Year night in, if you have watched the series so far then see what your favourite characters get up to as the New Year approached. This just seemed to appear out of nowhere just in time for Christmas. A scifi, supernatural series that begins with the return of the main character, Prairie, who had been missing for seven years. Where was she, what happened to her, and most of all, how can she suddenly see when she was blind when she disappeared. Another Netflix gem, we loved it! Go watch it quickly so you can join in all the chat and buzz around this great series. I think I would watch anything with Morgan Freeman in it, but add in Scarlett Johansson and written and directed by Luc Besson and the movie is bound to entertain. An action, scifi movie that we have watched twice already. Another great movie. I was a bit unsure about this one as I don’t like war movies but the action, drama and story of this made me very glad I watched it. The movie tells the true story of how 150 Irish men held out against 3000 mercenaries. Another one we highly recommend (once you can tune out some dodgy Irish accents!). A new series that the children are loving. It can be hard to find something that appeals to all three at once but this animation really seems to fit the bill. Another series of King Julien was released and had all the humour and entertainment of the previous series. I have to admit, I tend to find myself sitting with the kids and watching it too. My children have watched these over and over again. They can quote them at this stage but that seems to add to the charm. A fantastic way to get your children interested in history! An imaginative amalgamation of a number of different fairy tales all rolled into one, with plenty of singing added in for good measure. My 12 year old loved it! We watched the new version of Annie over the Christmas and loved it. Some of the adults preferred the original but it is still well work watching. The story follows a very story line as the original Annie along with many of the favourite musical pieces. This is one of the great things about Netflix, their New Year count down for the kids, so they can see in the New Year and still make it to bed before midnight. There are a large amount of kids favourites to choose from this year. The choice includes project MC, Beat Bugs, Puffin Rock, Fuller House, Chasing Cameron and Skylanders. All good choices although I think in our house it is a toss up between King Julien and Troll Hunters. Whatever you will be doing, or watching as the 2016 comes to a close, we wish you a very Happy, Healthy and Science filled 2017! We had no Wifi…. I’ll pause there for dramatic effect! Can you imagine? A lightning strike knocked us out, so we had no internet, no on-line work access and…. NO NETFLIX! There were tears! Luckily it all got sorted and we are back on-line and almost feel we are entitled to some binge viewing, just to catch up. So what have we been watching? We were delighted to see the new episodes of Better Call Saul arriving and jumped straight in. It is looking good but the next episode can’t come fast enough. I believe there should be one new one every week (on a Tuesday). We loved the first series and can’t wait to see what poor old Jimmy gets up to next. We are big fans of Eastern films and loved Crouching Tiger Hidden Dragon, so when Sword of Destiny arrived on Netlfix we had to check it out. It was a good movie, not as good as Crouching Tiger, but I’d still recommend it. Another great arrival to Netflix is the Downton Abbey series. We got completely hooked on the box set, but had only seen four series. Now we have found series five on Netflix we have our viewing sorted for the foreseeable future. So far it is still as wonderful as we remembered it. When we just want something light to watch before bed we have hit on the perfect solution; we have started watching The Big Bang Theory … right from the beginning. It is 20 minutes of guaranteed laughs and the scientist in me gets an extra kick out of their self-depreciating, nerdy humour. I love a good ‘detective’ type series, especially if there is some science involved. I’ve dipped in and out of the Silent Witness series on Netflix, which isn’t bad, but, even better is Lie to Me series. We have just started into it but already love it. A fictitious series based on the real-life science of interpreting facial expressions that tell what we say is what we really mean. 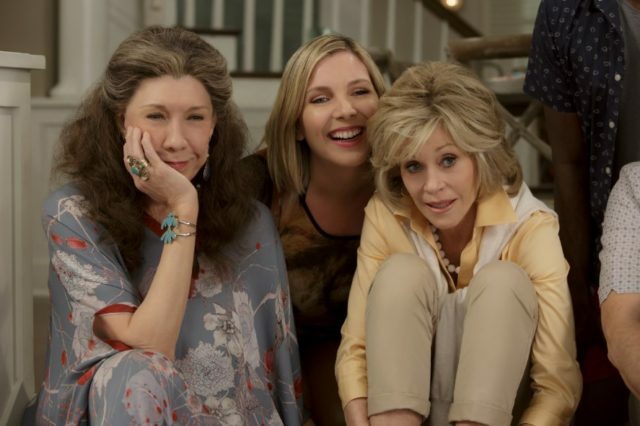 I have mentioned how much I loved the Grace and Frankie series in a previous post so I was delighted to see that Neflix will be releasing the second series on 6th of May… That’s only three more sleeps!! The children have now watched every Fuller House episode and have decided to return to the original Full House series too. They have really enjoyed rewatching some old favourites like Hotel Transylvania, A series of unfortunate events and The Spiderwick Chronicles. They are currently watching The Little Vampire, in small daily installments and have plans to watch Astro boy for a movie night during their mid term break. We were hit by a nasty tummy bug recently. When myself and my daughter found ourselves convalescing on the couch instead of heading off to a family get together, we compensated with an afternoon of Netflix. First up we watched Brave, a wonderful movie no matter how many times you watch it, and appropriate enough for some Mum and daughter time. Then we watched Ella Enchanted; I have to say, I really enjoyed it. An interesting variation of the classic Cinderella story with plenty of humour and lots of girl-power to boot. And that about sums up what everyone in the Science Wows house has been watching of late. Netflix have a lot more great series and movies coming on-line soon so stay tuned for more of our recommendations. Disclosure: As a member of the Netflix Stream Team I have received a years subscription to Netflix, free of charge, and an Apple TV, for streaming purposes. As part of Netflix Stream Team I will be posting regular updates on what we are watching and what is on offer. All opinions expressed are my own. Sometimes it is hard to agree on what to watch when we finally sit down and someone gets hold of the controls. I love that Netflix gives everyone their own profile, a glimpse into what we are each watching, and a look at how different each family member is! So, there is often a bit of conflict about who gets to pick their favourite. Each of the series’ four episodes examines one of the physical elements used throughout the ages to transform raw ingredients into delicious dishes: fire, water, air, and earth. Cooked takes viewers on a visually stunning journey to meet, among others: an Aboriginal tribe in Western Australia that fire-roasts Australian monitor lizards, a Connecticut Benedictine nun and microbiologist who makes traditional French cheese, Peruvian brewers who use human saliva to ferment a traditional beverage, and an ancient Moroccan granary powered by rivers. Each episode also returns to Pollan cooking in his Berkeley, California, kitchen, appetizingly delivering his core message that, surrounded as we are by fast food culture and processed foods, cooking our own meals is the single best thing we can do to take charge of our health and well-being. 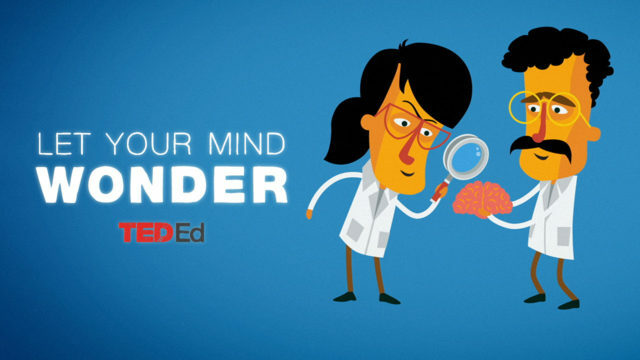 I love TED talks and there are plenty to watch on Netflix but this one, in particular, has caught my eye, it seems to have STEM covered with this lovely visual and animated series. Each episode is short and consise and covers diverse topics from “is there really aliens?” to “should we eat bugs?”. It is great for dipping into for five minutes, or sharing with the children, often answering a question they may have already asked! To sail around the world is quite a feat, to do it solo is even more impressive, but to be just 14 years old is an amazing achievement. Maiden Trip is an inspiring documentary charting the two-year voyage of Laura Dekker as she followed her dream and became the youngest person to sail around the world. If you haven’t seen this one yet it is definitely worth watching. This documentary follows the real life drama of an orca in captivity in Sea life and the devestating effect captivity has on his life and the lives of others. A sobering but interesting documentary charting the research carried out at the Antartic by a varied group of scientists, shedding a realistic light on the real levels od global warming! Things have been a little crazy around here of late, so we are happy to embrace the darker colder days, a roaring fire and, of course, some Netflix. Want to know what we have been watching? Well, here is what the adults have been enjoying, and next week we’ll share the children’s choices. I have just finished the first series of Netflix’s Grace and Frankie. I liked it from the beginning but quickly got to really love it! It is the perfect blend of warm-hearted humour, with the kind of characters you grow to love very quickly. It was my perfect “wind down” TV viewing and I can’t wait for the next series. In the meantime though, I am happy to rewatch some of my favourite episodes, like the one where Frankie and Grace go out for a night out together, and each gets to choose the clothes the other wears! I also watched The Duchess, staring Kiera Knightly. I’ll admit, I am not always a bit fan but I did really enjoy this one, and, as a mother, I could really relate to certain parts, although thankfully I live in a much more gender-balanced world! When I have the control and tv all to myself and feel like an extra special treat I love to watch an episode of Chef’s table! There is no part of this series that I do not love! The food, the chefs, their life stories, the attention to detail, the ups and downs. The passion of each chef really comes through in this excellent documentary. My husband has a string of recommendations, none of which I have seen, so I think I need a day of complete catching up! Firstly, he really loved Narcos, I did see a bit of it but decided it wasn’t for me but I have heard great things about it and he assures me that it was really well made and a great insight into what really went on. He enjoys quirky, more alternative movies and so his current top three are Horns, Spring and What we do in the Shadows. 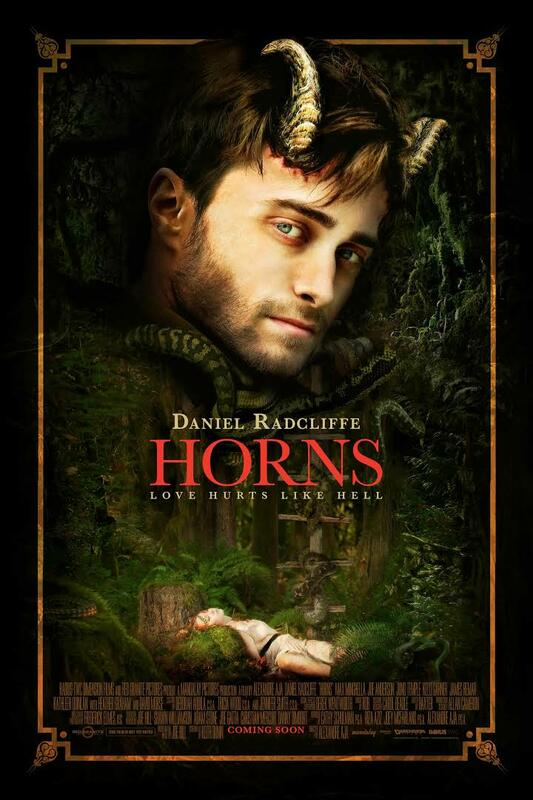 Horns stars Daniel Radcliff, who finds himself with a dead girlfriend, a town out for blood (his) and two even more disturbing facts…. firstly, he is growing horns and secondly, people seem obliged to tell him the absolute truth. Some things are better not said, and, people sharing their inner thought with you is not always a welcome event. As you can imagine, this can make for very humorous viewing… on the darker side of mainstream! Spring is another very alternative film, somewhat slow moving but with an interesting plot and ultimately, a love story, coming from a very unusual angle. He says it certainly keeps you interested! What we do in the shadows is apparently a very funny portrayal of a group of vampires trying to deal with modern life from banal domestic squabbles to feeding problems and the real issues with eternal life. If you like a quirky film, this one is for you. On a more sombre note he says Beasts of no nation is rough but compelling. Sometimes it is good to take your head out of the sand for a while. The Help! I loved the book and the movie definitely did not disappoint, both of us thoroughly enjoyed it! A big, fat ten out of ten! With a lovely ‘feel good’ factor ending! The only down-side to the movie is that you will NEVER want to eat chocolate cake again! Another (black) comedy that we really enjoyed (and all this makes me realise how ‘alternative our viewing is’) was A long way down. Definitely one to watch. So that should keep you going for a while… now I’m off to hide the remote so I can get first dibs tonight! Netflix is great is you want a series you can get your teeth stuck into or mainstream movies to sit back and enjoy but I always find it extra special when we stumble across some hidden gems. I thought you might be interested in hearing about some of these “off the beaten track” finds. A quirky delight of off-beat humour and fantastic acting; A movie about time travel, or is it? You’ll just have to watch it right to the end! A movie on the dark side but with some great characters. A very young Jennifer Lawrence plays the lead role and leaves is in no doubt as to why she became a household name. This is a very touching documentary that shows how some societies see education as the gem it really can be and the obstacles that some children will go to, to receive it. Although it was a stark reminder of how good we have it I found the documentary had an overall feel good factor, due to the happiness of the children featured and their ability to see the positive in their situations. Have you any hidden gems to share?